Please help to give the gift of joy this Holiday Season by donating gift cards requested by the foster youths in the SFCASA program. Many families generously claimed all the ornaments that were hanging on the Giving Tree in the school lobby before Thanksgiving break but Renee has added more ornaments upon our return. Feel free to pick an ornament to fulfill a child's holiday wish. 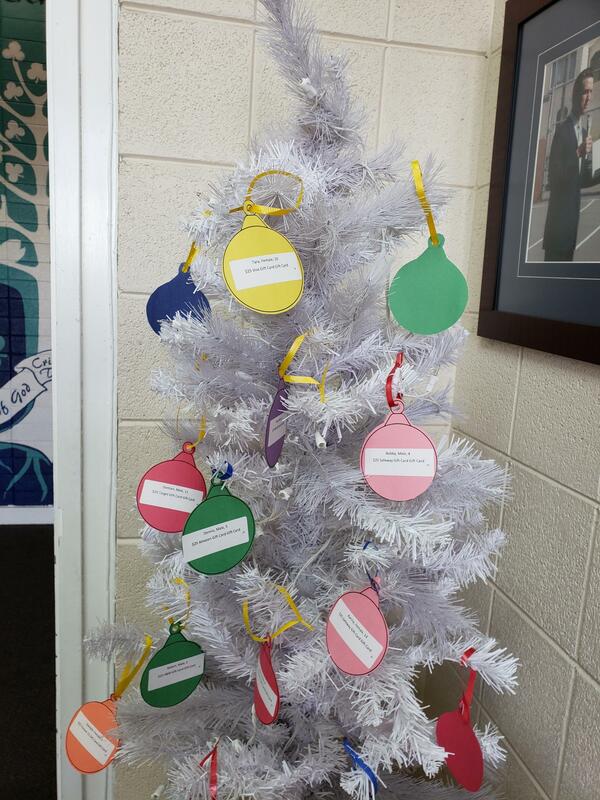 All gift cards (along with the ornament) must be turned in to the office by Tuesday, December 4th. To purchase gift cards, please remember to order them through SFB's Scrip Program by end of the day, Thursday, Nov 29th. You can e-mail your gift card order (store name and value of card) to scrip@stfinnbarr.org, then send in your payment to school by back pack mail. Or send in your written request attn: SCRIP. Please make checks payable to "St. Finn Barr Scrip Program", and be sure to include your name and oldests student's name/grade. If you would like your gift card sent directly to the office noted for the SFCASA program, please let me know. As an added bonus, your SFB Scrip gift card purchases can earns hours. You earn 1 hour for every $500 in gift cards, a total of 10 hours for $5,000 in gift cards made during this 2018-2019 school year. Thank you for supporting SFCASA!